Every Thursday morning at 11:00 am Eastern, Randy Goruk sends a complimentary Leadership Tip by email to those who have registered to receive it. 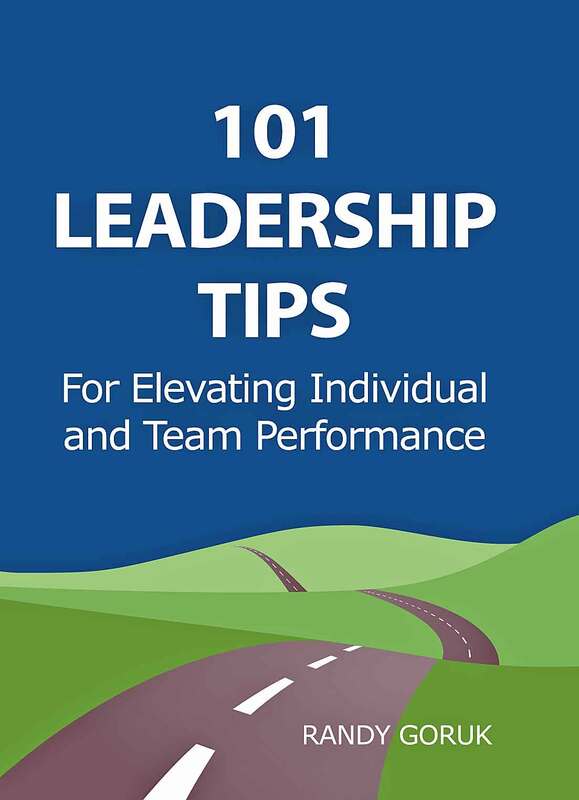 It is his hope that these Leadership Tips will inspire your thinking as a leader and where appropriate, can be implemented to help your organization achieve better results. 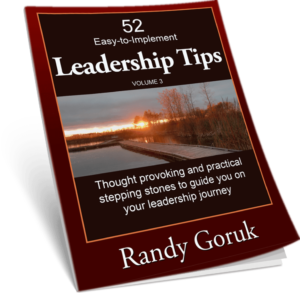 Sign up and Randy will send you a FREE GIFT, 52 Easy To Implement Leadership Tips! I have enjoyed your weekly advice and input immensely. I always find it taking me back to reality on Thursdays when we are in the middle of a hectic work week and I tend to forget the overall picture that always needs to be at the back of our minds as leaders. Aloha Randy, I look forward to your leadership tips arriving via email. I have my own file collection and share them with my colleagues. Sometimes I am inspired to leap into a long-awaited change and it is not as daunting as anticipated. I feel your incisive tips help me to learn and remember what is important in moving an organization further. Your valuable tips help me plan more deliberately to succeed and to remember that change is constant. Hawaii County Operations Director – Goodwill Industries of Hawaii, Inc. Your leadership tips have been a great resource and education for myself and our company. It’s almost like someone was videotaping us this year because about 75% of your tips were spot on to situations that we were dealing with in our current state in some shape or form. You have helped in many aspects since I met you last year at the Associated Builders and Contractors convention in Wisconsin Dells and we’re bring more people to your training session this year. Internal Operations Manager – Northern Concrete Construction, Inc.
Randy, I value your weekly tips — they provide easy-to-execute actions that help make a large and important topic more digestible. Of the many business and leadership messages I receive on a regular basis, I can honestly say yours is the only one that always has value and relevance.Your messages are short and to the point – you have done a great job of digesting your experiences and sharing important challenging messages to me in a simple manner every week. I am thankful to have seen you in person years ago. Keep it up! Wow, Mr. Goruk, this really is the truth. Thank you very much. I look forward every Thursday for your leadership tips. In addition, I print them out and have them in a binder for reference. I share them with my team and the team loves them. Never a disappointment ! Thank you for being so giving! If or when, given the opportunity through my job again, I will definitely attend another one of your workshops. I often share your tips with Midwest Roofing Contractors Association members and our team here at Association Management Center. They are educating and motivating. 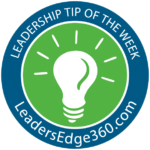 Please keep your great ‘Leadership Tip of the Week’ coming!